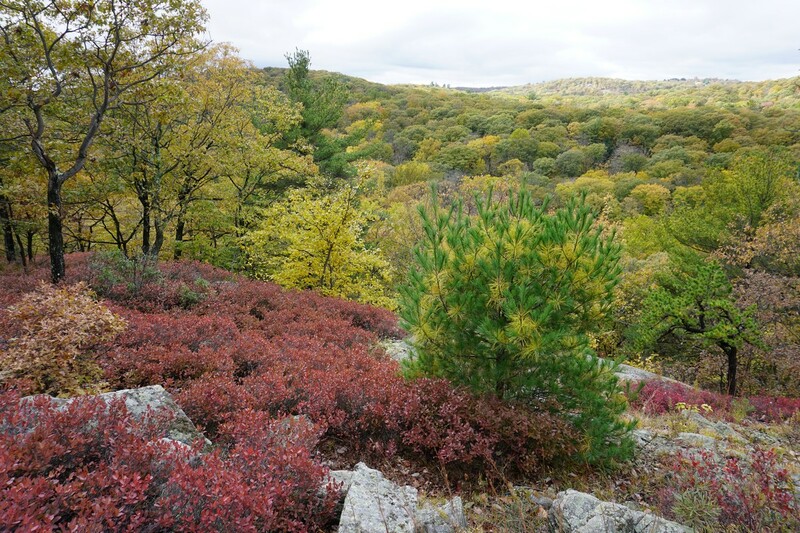 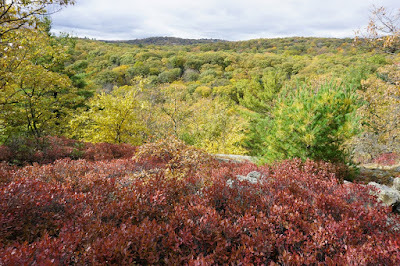 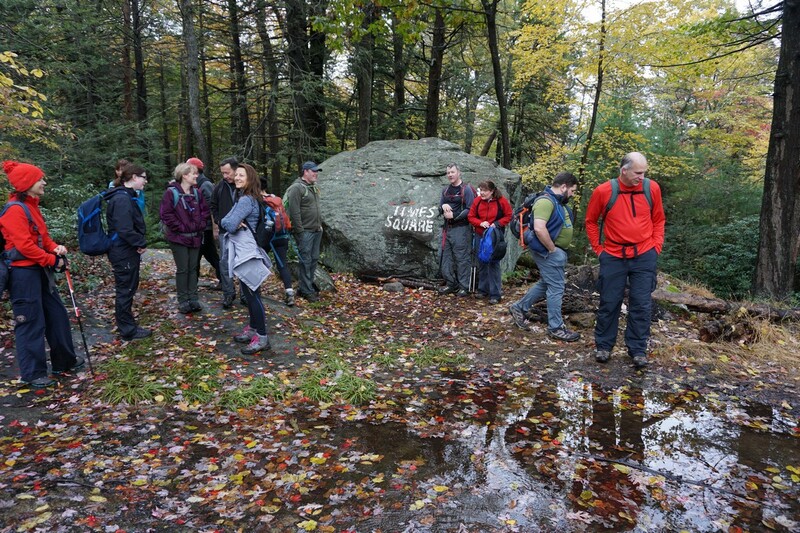 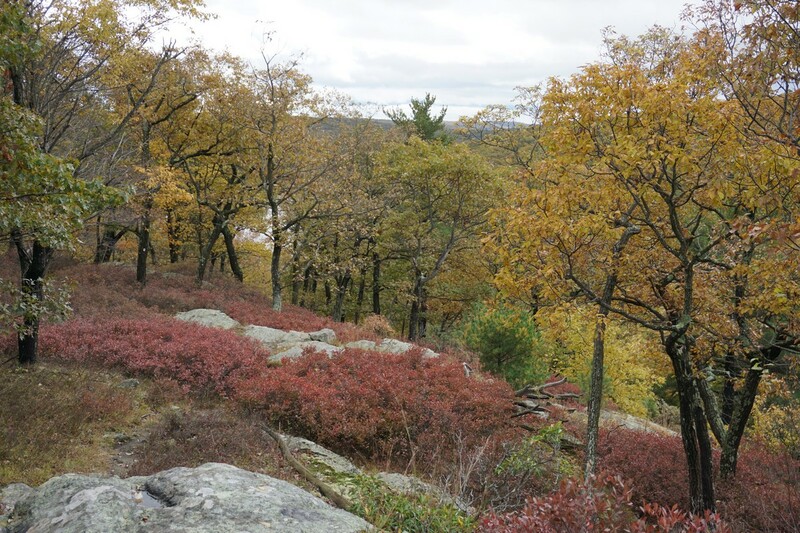 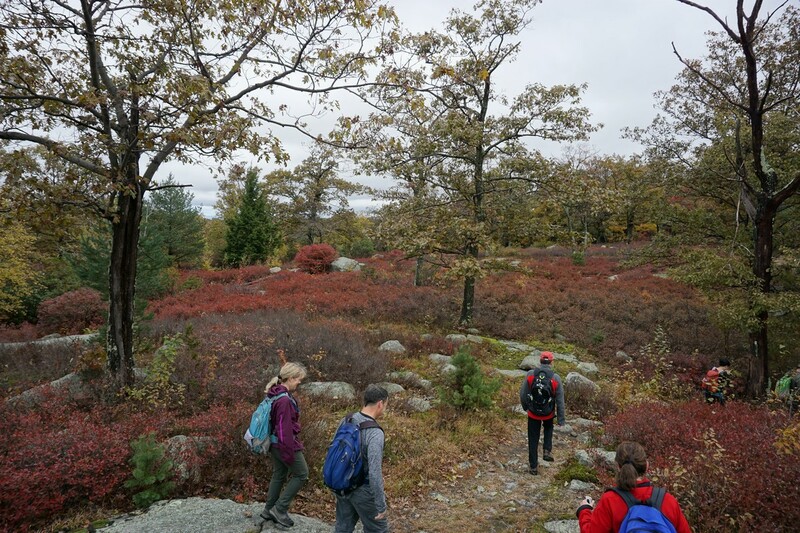 This hike was in late October, at the peak of the fall foliage. 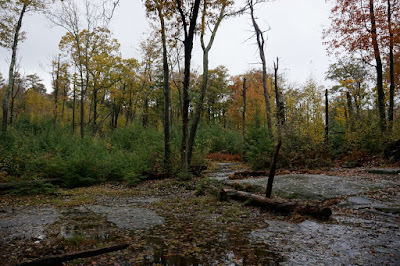 It has just rained a lot the day before the hike, and it was still very wet and overcast on this hike. 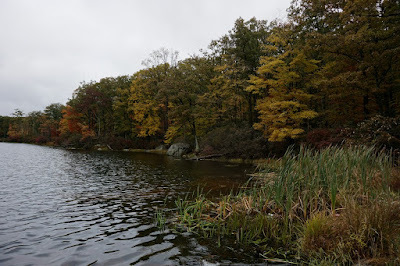 I parked at the parking area at Lake Skanatati, on Seven Lakes Drive. 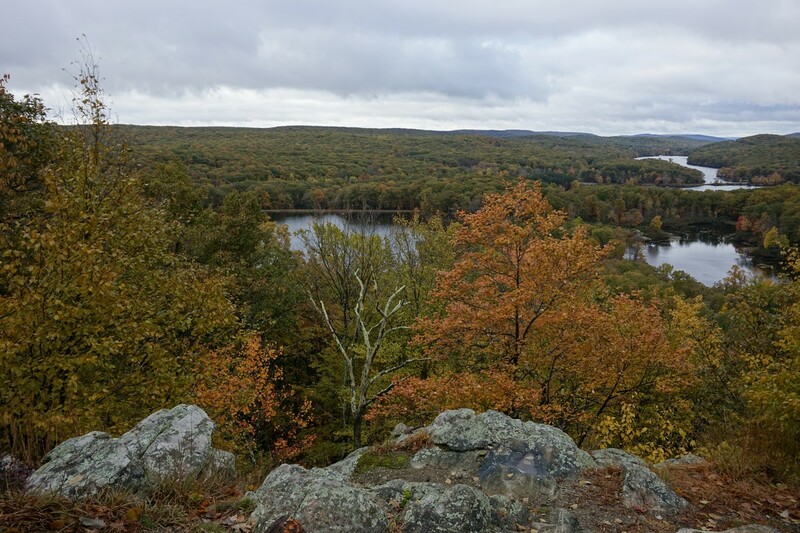 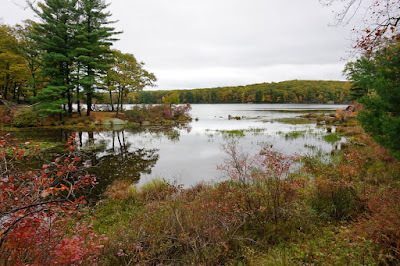 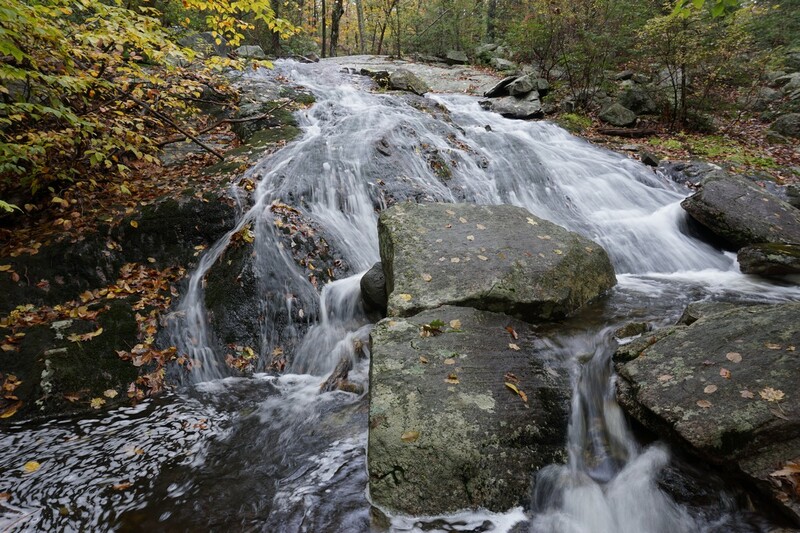 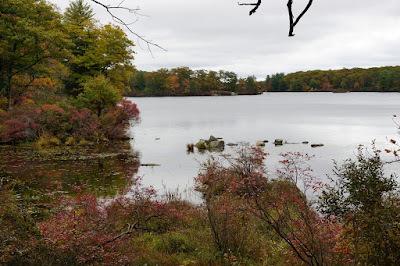 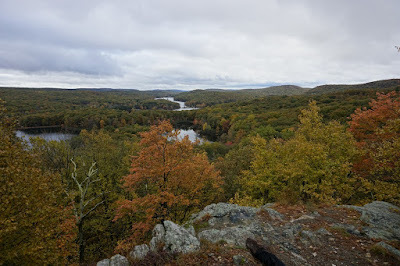 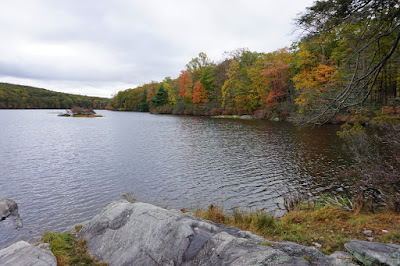 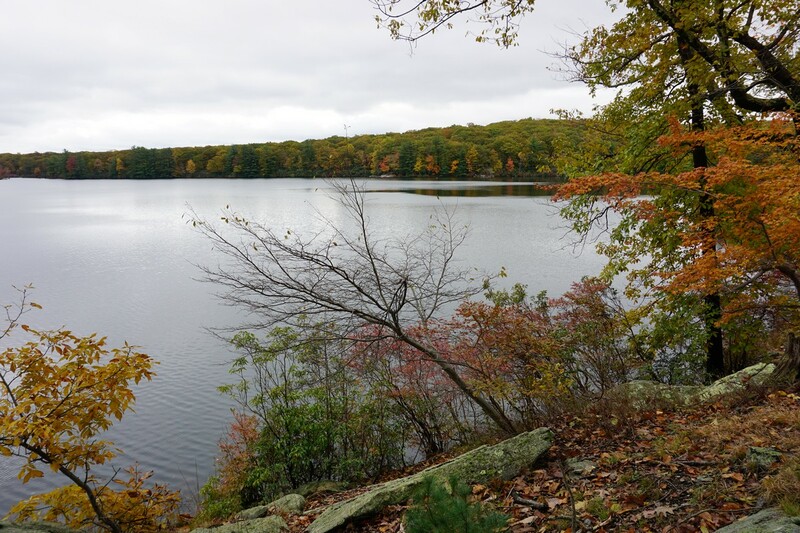 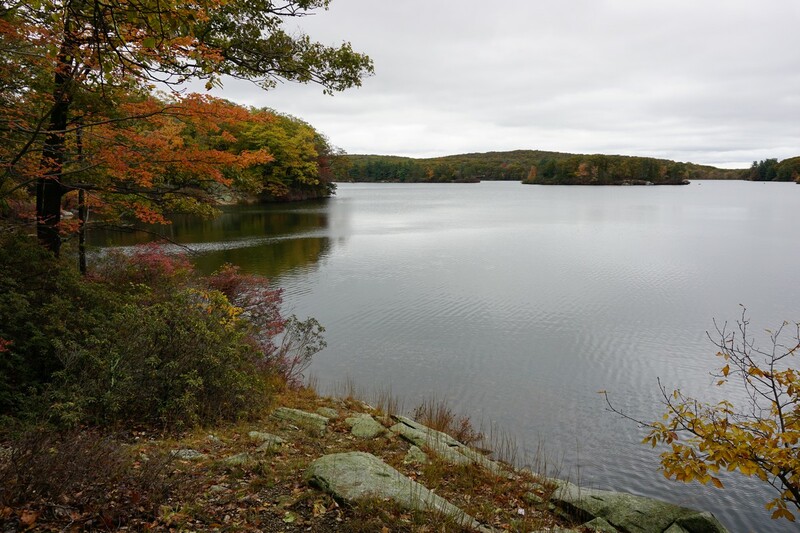 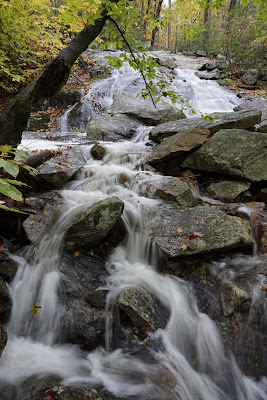 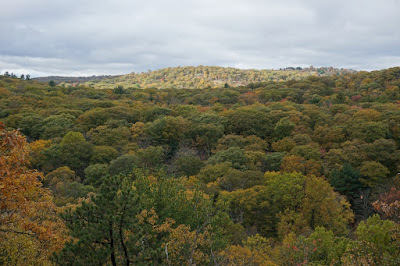 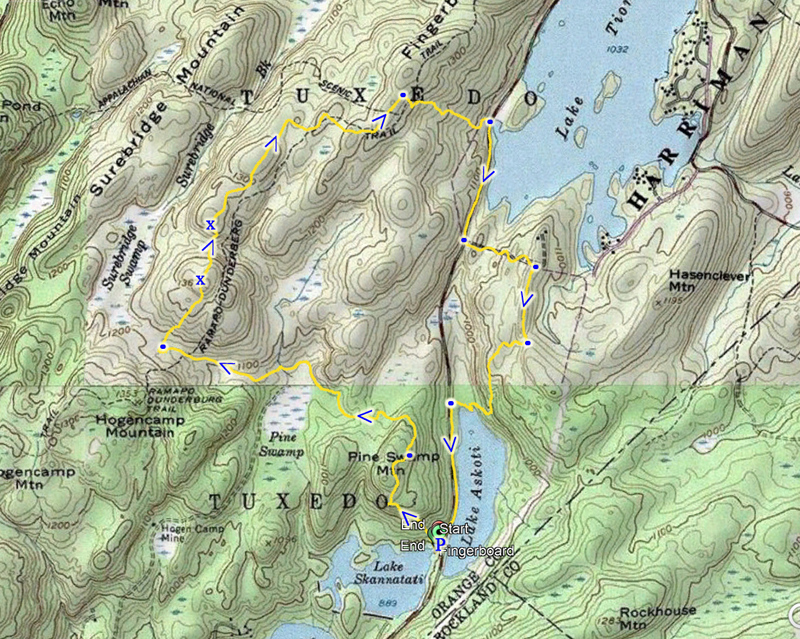 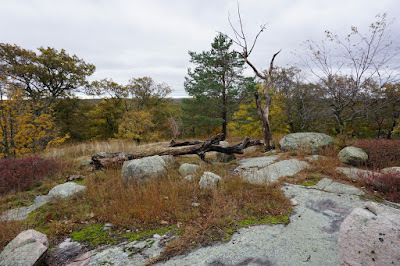 I took the former route of the Arden-Surebridge Trail up Pine Swamp Mountain, to the nice view, and then took the former Red Cross Trail route to the Arden-Surebridge Trail. I continued along the Arden-Surebridge Trail towards the Pine Swamp Mine, passed along some of the mine workings, and then continued along the trail past the intersection of the Dunning Trail. 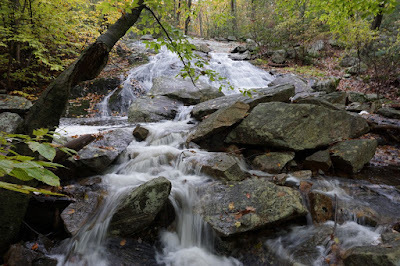 At the intersection of the Arden-Surebridge and Dunning Trail there is a nice seasonal waterfall, which was in full force because of all the recent rains. 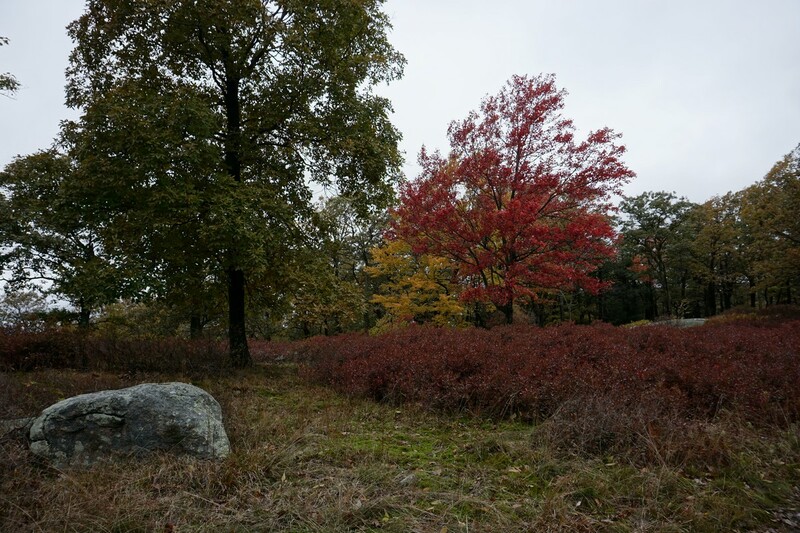 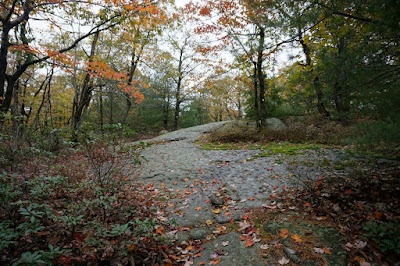 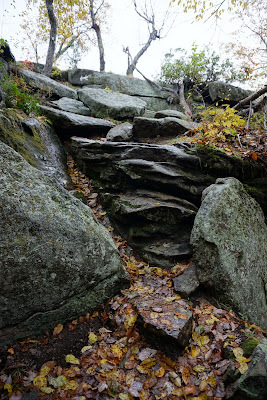 I continued to Times Square, a rock at the intersection of several trail. 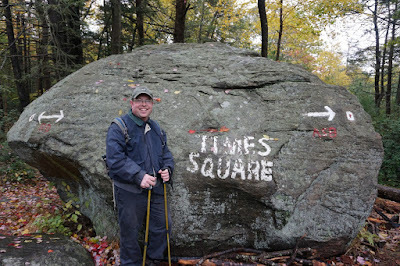 It was ironically quite busy with many people at Times Square. 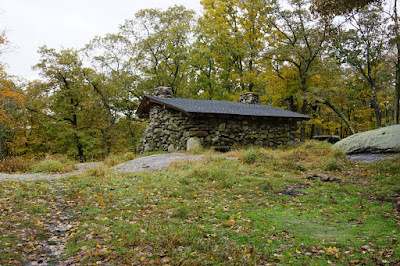 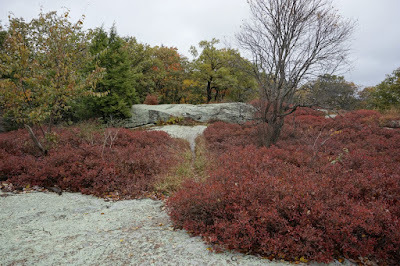 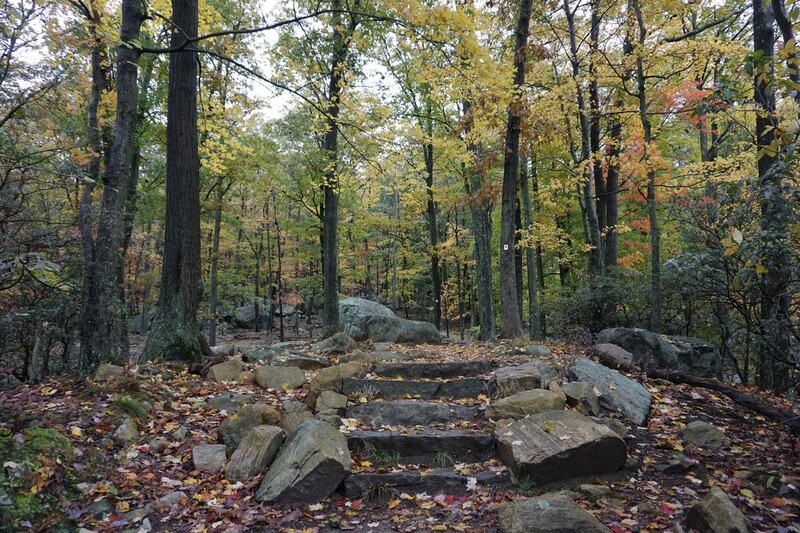 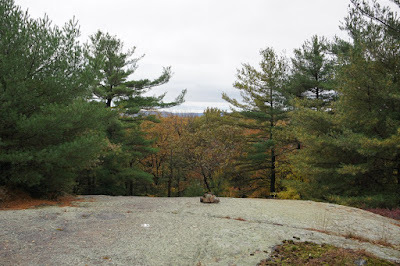 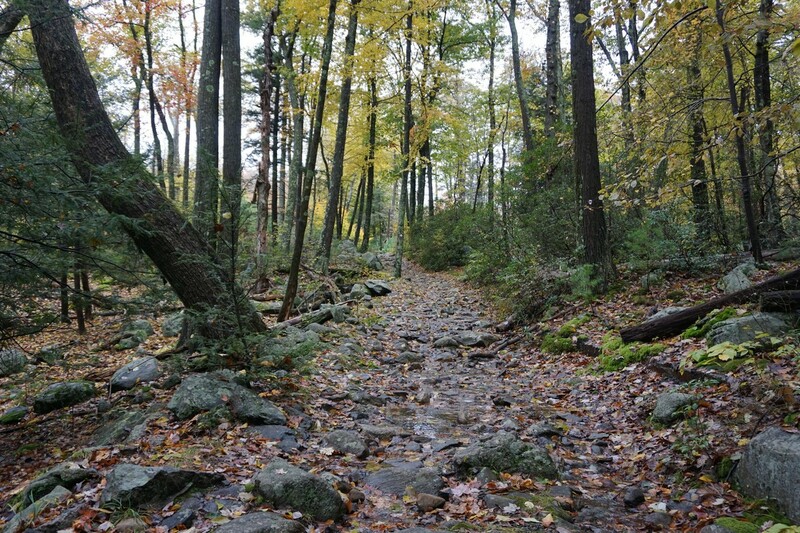 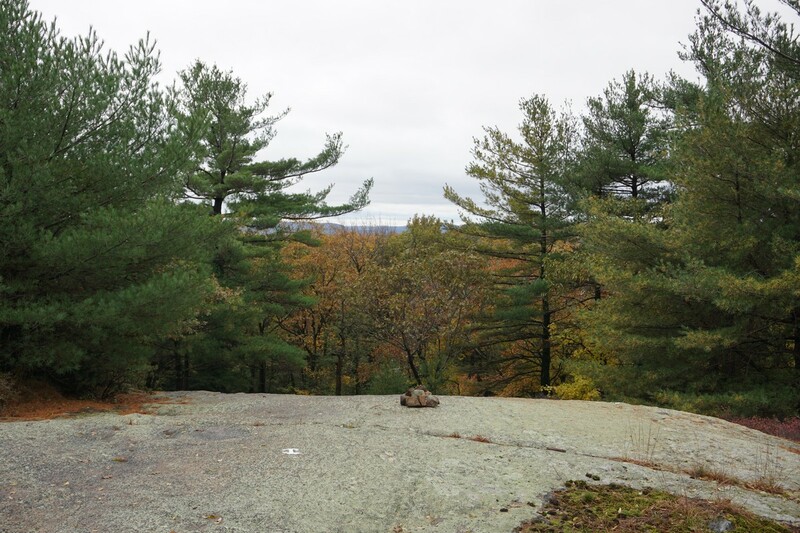 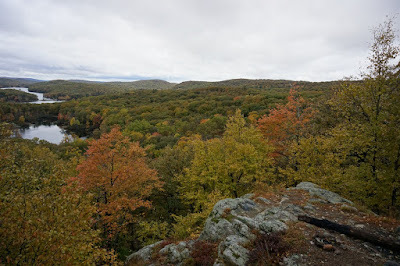 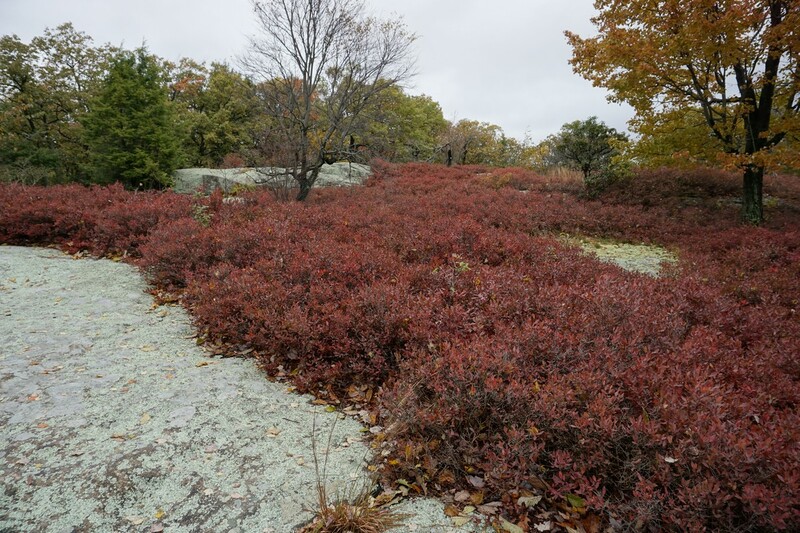 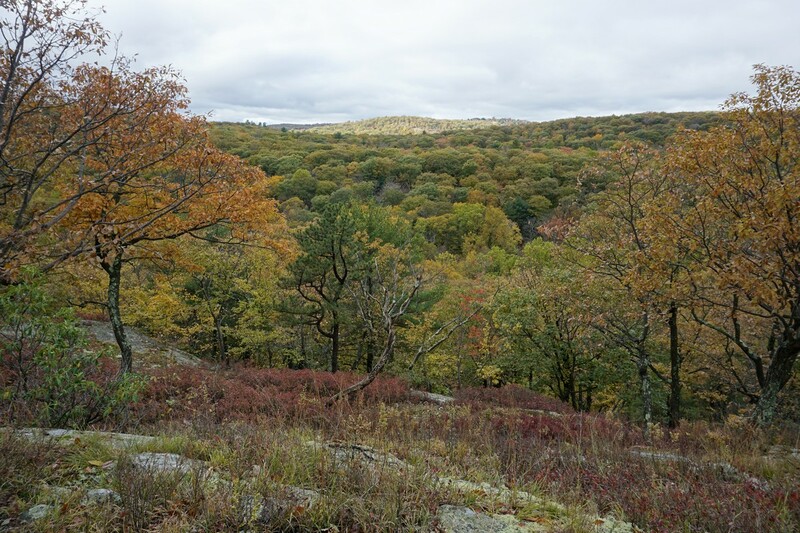 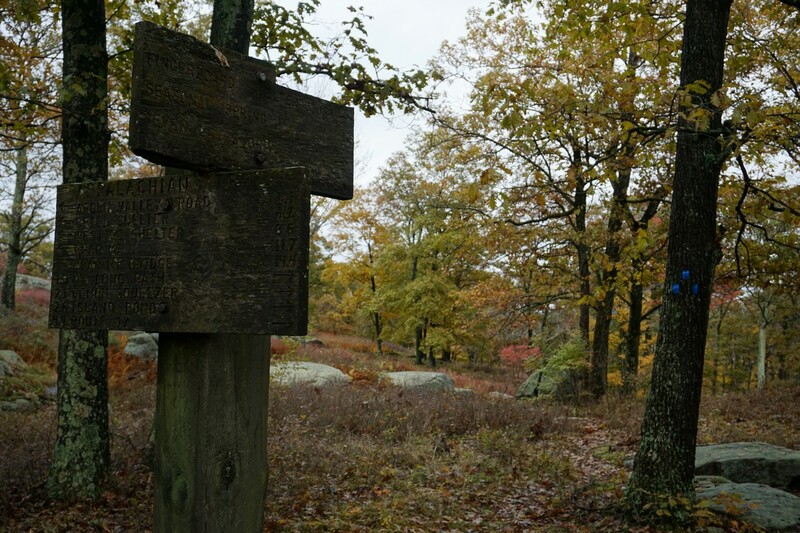 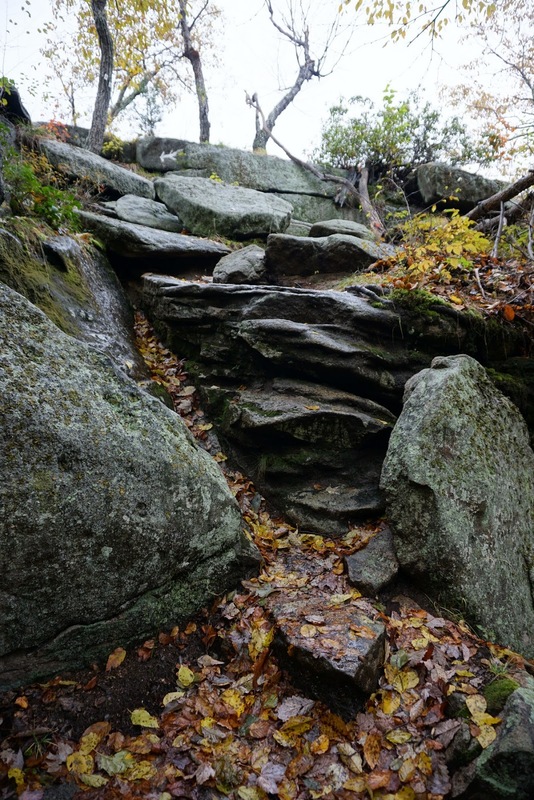 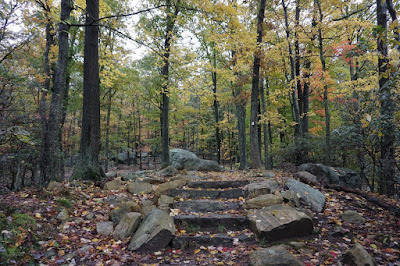 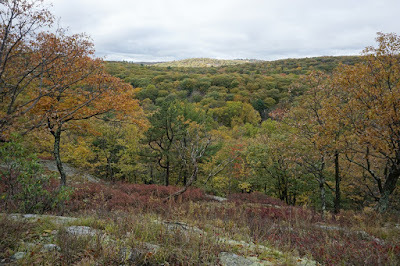 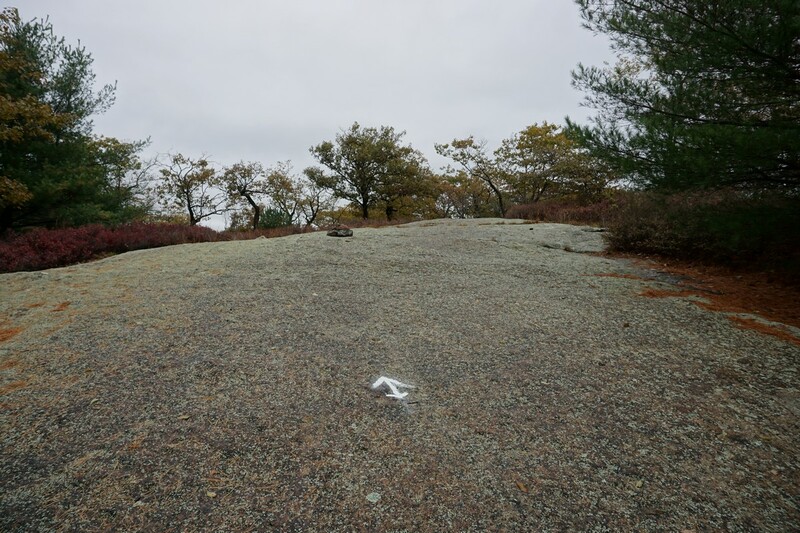 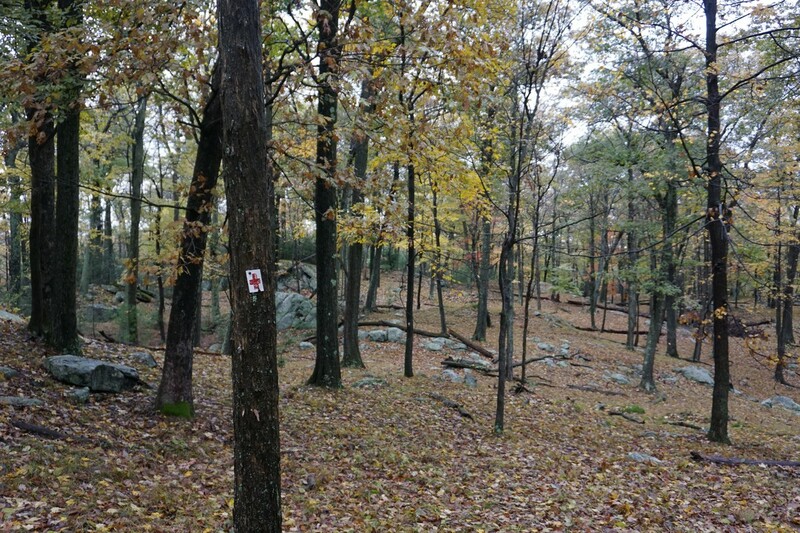 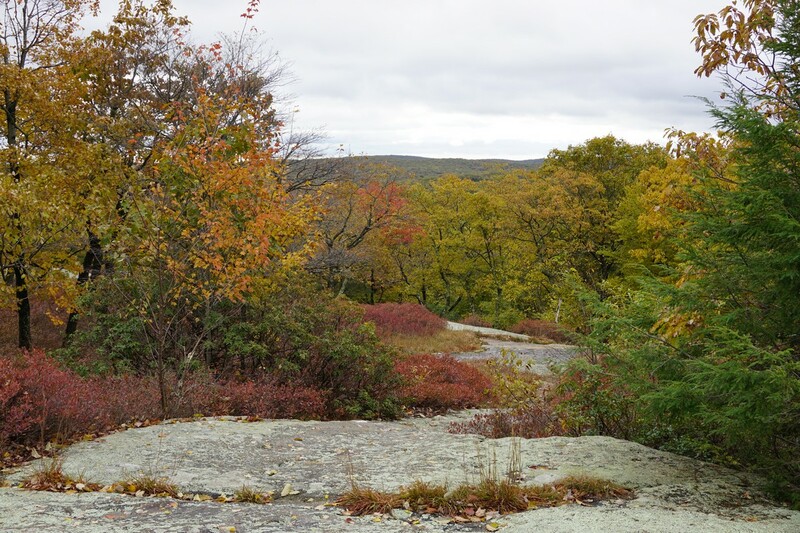 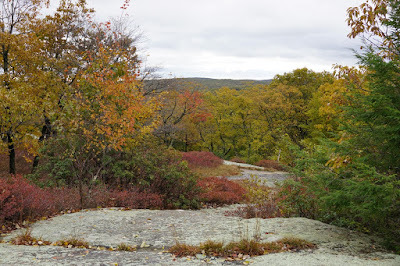 At Time Square I took the Ramapo-Dunderberg Trail north up Fingerboard Mountain, passed the Bottle Cap Trail, and towards the Hurst Trail. I took the Hurst Trail for a short distance to the Fingerboard Mountain Shelter, and then accidentally took the Service Road down to Seven Lakes Drive instead of the Hurst Trail which is parallel to it, which was my original plan. 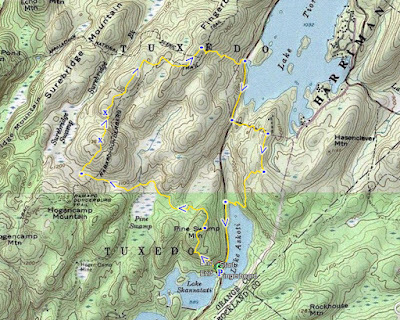 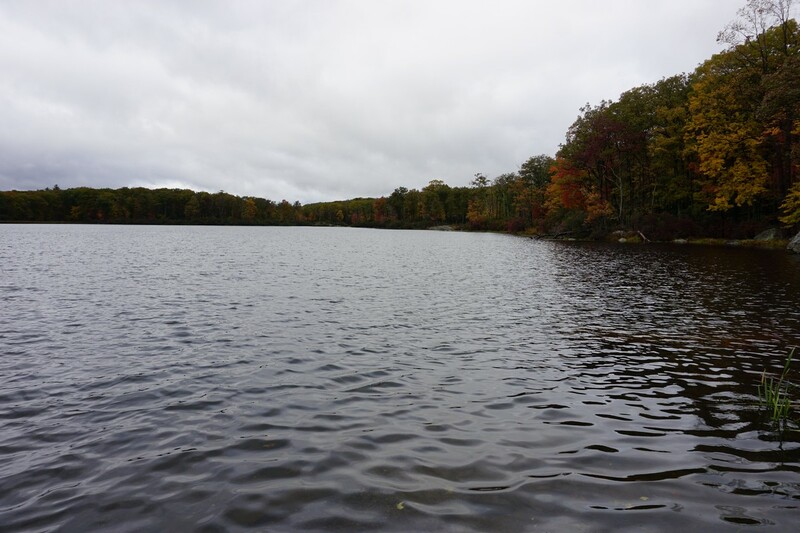 I walked along Seven Lakes Drive Southward to road to Camp Thendara. 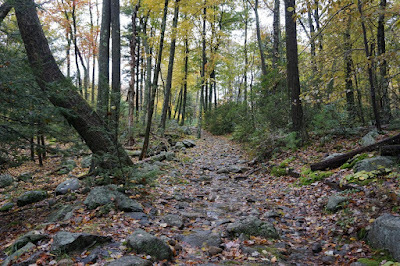 I took the road down the valley and up the hill. 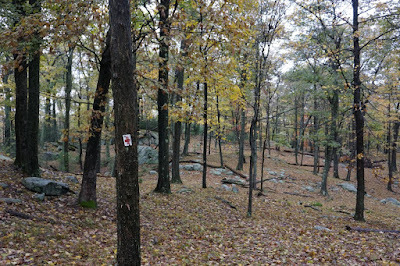 I was looking for the trail connecting Camp Thendara to the Red Cross Trail, and I found it. 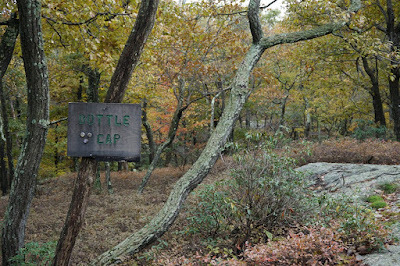 It has a plaque labelled the "Bottle Cap Trail" at the entrance of the trail. I found this interesting as there is a much more well-known "Bottle Cap" trail very close by. 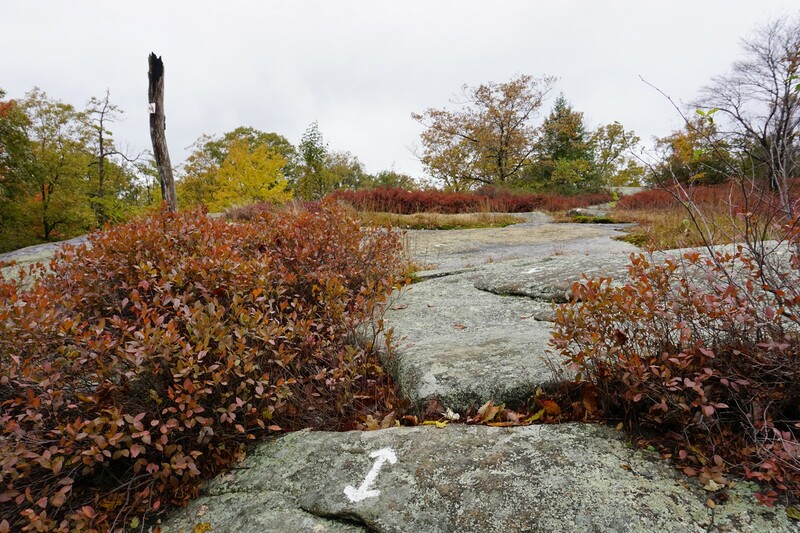 This Bottle Cap Trail is much shorter and hardly known. 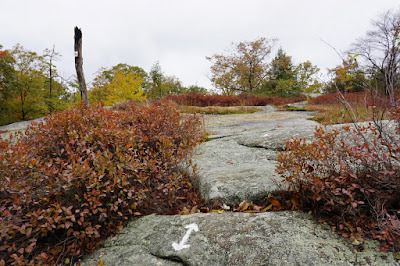 I took the Bottle Cap Trail to its terminus at the Red Cross Trail, and then took the Red Cross Trail south to the view overlooking Hogencamp Mountain. 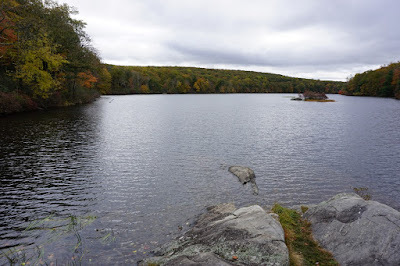 I continued down the mountain to Lake Askoti, and right after the rock jutting into the lake I had a bad fall on slippery rock. 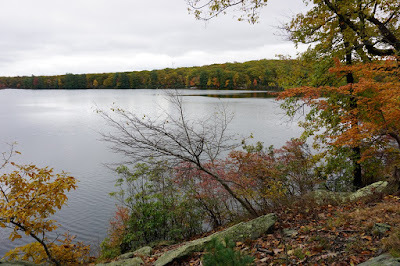 I had really injured myself and caused a bad sprain, and it took several minutes for me to be able to get up and hobble the short distance to the road. 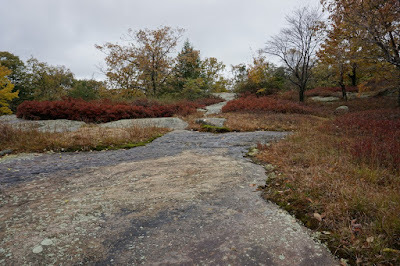 I took the road back down towards the car at the trailhead. 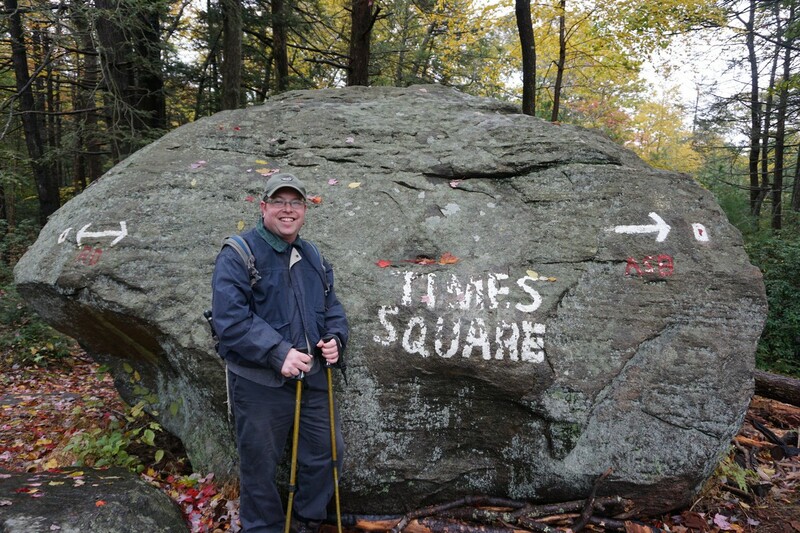 A Very Busy Times Square!